Dirty Dangle Hockey: Who's Hall Of Fame Worthy In 2012? Who's Hall Of Fame Worthy In 2012? 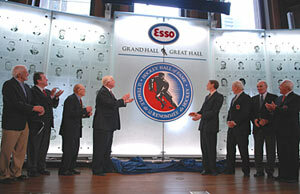 The Hockey Hall of Fame Selection Committee will meet this June 26th and announce their inductees for 2012. As usual surrounding this event, there's a lot of talk about who deserves to go in and who may have to wait a bit longer. Last year we saw a great class inducted consisting of: Ed Belfour, Doug Gilmour, Mark Howe and Joe Nieuwendyk. The previous year, we saw Dino Ciccarelli go in as the only NHLer along with Cammi Granato and Angela James - the first females inducted into the Hall. There is no formula for predicting inductees, but it sure is fun to speculate and remember their great careers. Sakic should be a lock for a first year induction. Not only does he have the most points out of all eligible players with 1641, but his hardware collection is tops as well. With two Stanley Cups, two Canada/World Cup gold medals, a Hart Trophy, a Lester B. Pearson award and a Conn Smythe, Sakic appears to be destined for the Hall. His 1641 points put him 9th all-time in scoring, and his 188 playoff points him rank him 8th all-time in that category. He should go in his first year of eligibility no problem. Shanny has the most goals of all eligible players with 656 (13th all-time) and has the third most points of eligible players. 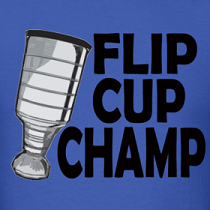 Shanny also has three Stanley Cups to his name and two Canada/World Cup titlles. He's got the stats and the hardware and perhaps his role as the NHL disciplinarian could get a few votes tossed his way. We hope his shoulder pads go into the Hall as well. This is a tough one for a first year eligible player. He's got great stats with 564 goals and 1349 points (27th all-time), and four gold medals including Olympic gold when he captained Sweden to victory. On that Swedish note, he's the highest scoring player of all-time from Sweden, and owns many Toronto Maple Leafs franchise records. Unfortunately for Sundin, playing for Toronto most of his career he didn't win any Cups and his last hurrah with the Canucks went stale. He's definitely Hall of Fame worthy, but he might have to wait. The thing I remember most about Goyette is that she was a plumbing expert at The Home Depot during the 2002 Salt Lake City Olympics. However, she should be remembered as one of the highest scoring females in Canadian hockey history with 113 goals and 219 points in 171 international games. With 7 World Championship gold medals (1 silver), and 2 Olympic gold medals (1 silver), she's got the stats and hardware to be considered for a call to the Hall. Considered one of the greatest leaders in womens hockey, Campbell is the only person (male or female) to captain a team to two Olympic gold medals. While her stats may not do her justice (100 points in 157 international games), she does have six world titles and 21 international tournament medals (17 Gold, 4 Silver). It's worth noting that she became the first female colour commentator on Hockey Night in Canada as well. Housley is one of the greatest American-born players of all-time, and the 7-time NHL star definitely has the stats to get into the Hall with 338 goals and 1232 points, which is good enough for 4th all-time among defenceman. Unfortunately for Housley, he's played the most NHL games (1465) without winning a Stanley Cup of anyone in the NHL and never captured a Norris. He's not totally hardwareless though, as he was part of the US 1996 World Cup of Hockey team that won gold. Housley is definitely Hall of Fame worthy and could go in this year or the next. This is a tough one to debate, as Lindros was absolutely dominant when healthy. His point totals are solid for the number of games played (865 points in 760 games), and his Trophy Case is impressive: 2 Olympic medals (1 gold, 1 silver), a 1995 Hart Trophy and a 1995 Lester B. Pearson Award for most outstanding player as voted for by the players. Unfortunately, Lindros probably hold the record for concussions in a a career with 8, and his shortened career could harm him being inducted into the Hockey Hall of Fame (although he does have more games played and points than 2005 inductee, Cam Neely). CuJo joins the list of eligible players in his first year with 454 wins (ranked 4th all-time) and his 51 shutouts aren't too shabby either. While he may not have the hardware (no Vezina's or Stanley Cup's), he does have an Olympic gold medal (and a Spengler Cup gold!) in his trophy case. We think he's Hall of Fame worthy, but in his first year of eligibility he may have to wait a few years. 1st all-time in powerplay goals scored with 274, 14th all-time in goals scored with 640, 28th all-time in points with 1338, and 6th all-time in games played. Andreychuk's stats definitely back him up, and so does his 2004 Stanley Cup when he captained the Tampa Bay Lightning. While his lengthy career does not know have highlights of individual awards or spectacular performances, Andreychuk was consistent and smart enough to stand around the blue paint on powerplays. He definitely deserves to be in the Hall, and this could be his year. One of the most exciting offensive players to watch, Bure has been waiting since 2006 for the Selection Committee to elect him to the Hall of Fame. With 437 goals in 702 games, Bure has one of the highest goals/game ratios of all-time with 0.62 (6th all-time). Bure led the NHL in goal scoring three years and captured 2 Rocket Richard Trophies (the first time he led the Award didn't exist), and took home the Calder Memorial Trophy when he entered the league in 1992. Based on his dangles and shot, Bure is Hall of Fame worthy despite being held to only 702 games because of numerous knee injuries. Oates and his 1420 career points (16th all-time) have been waiting since 2007 for induction into the Hall and with so many great players now eligible, he may continue to wait. While a great point getter, Oates competed with some tough company in the 90s and thus never got the respect a five time All-Star should receive. Also, with no Cups (two Stanley Cup Final appearances) and no international champinships, Oates' trophy case is bare. Compared to his peers, Oates' playmaking abilities are often overlooked and he may need some assistance to get into the Hall. 515 goals and 1327 points are among the tops of eligible players, but the Tin Man just doesn't have any championships to his name. His trophy case isn't completely bare though, with a 1993 Lady Byng Trophy to his name. His points up him at 31st all-time, but lets all be honest, we remember Turgeon for getting cheapshotted by Dale Hunter in the '93 playoffs after scoring a goal. While he may not make the Hockey Hall of Fame, he can live happy knowing he's a member of the Little League World Series Hall of Excellence. We know he's the greatest video game hockey player of all-time (4th best video game athlete), but Roenick might be hard-pressed to make the Hall of Fame anytime soon. He's got solid stats with 1216 points in 1363 games, but the wins just aren't there. 0 Cups, 0 golds, 0 awards. JR may have to wait years to be inducted with so many players in the same boat as him. Sorry Jeremy, Patrick still can't hear you because he's already in the Hall. Sakic for sure. Shanny, Bure and Andreychuk I'd like to see go in. Sakic is a lock, Shanny should go in. I think Oates this year. And would love Bure. Can't believe Andreychuck scored that many goals..guy could barely skate. Sakic, Shanny, Housley and Sundin. So glad Bure is going to the Hall. One of the best goal scorers the NHL has even seen. Bummed that Pat Burns isn't in there yet. Never really thought of Adam Oates as a Hall of Famer. Just a guy that played in an era were everyone was racking up points.